Connie’s lobe doubled up to great effect. 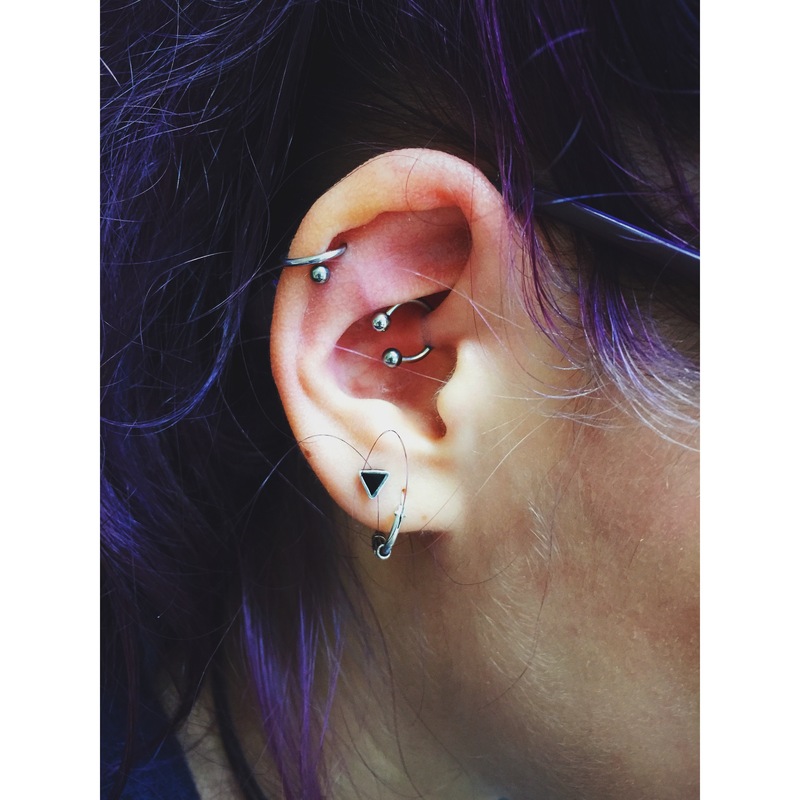 Simple yet striking, pierced w/1.2mm titanium labret bars – this looks great with either studs or when healed a ring to create a vertical lobe orbital. 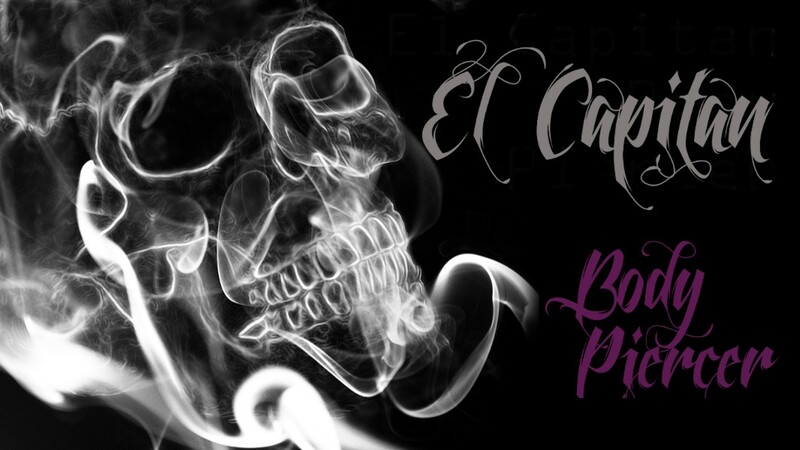 Always a pleasure, whatever the request; I always aim to provide the perfect piercing. This entry was posted in Lobe Piercings, Piercing Portfolio and tagged 1.2mm, Body Modification, Body Mods, Body Piercer, Body Piercing, Custom Double Lobe, Double Lobe, Double Lobe Piercing, Double Lobe Piercings, Ear Lobe, Ear Lobe Piercing, Ear Lobe Piercings, El Capitan, Greenwich, Lobe Piercing, Lobe Piercings, London, London Body Piercing, London Piercer, London Piercing, London Town, Piercing Portfolio, SE10, Second Lobe Piercings, Shiva Piercings, South East, South East London, South London, South London Piercer, South London Piercing, Titanium, U.K., UK, UK Body Piercing, UK Piercer, UK Piercing, Vertical Orbital Lobe Piercing. Bookmark the permalink. 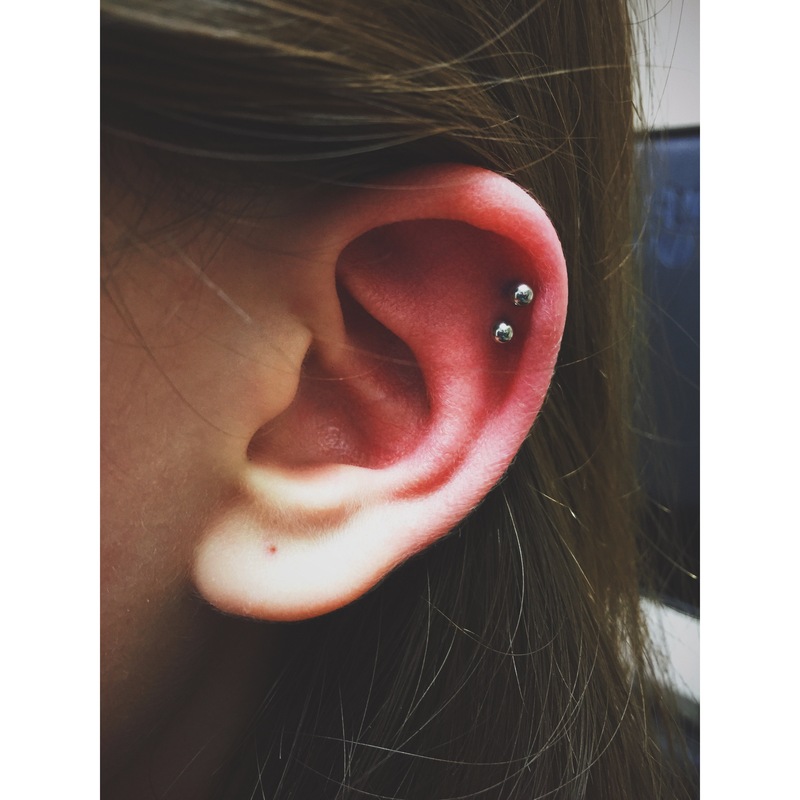 Was an absolute pleasure to fulfill Laura’s awesome request of having a flatbed triangle-trio of helix piercings, pierced w/1.2mm titanium labret bars. 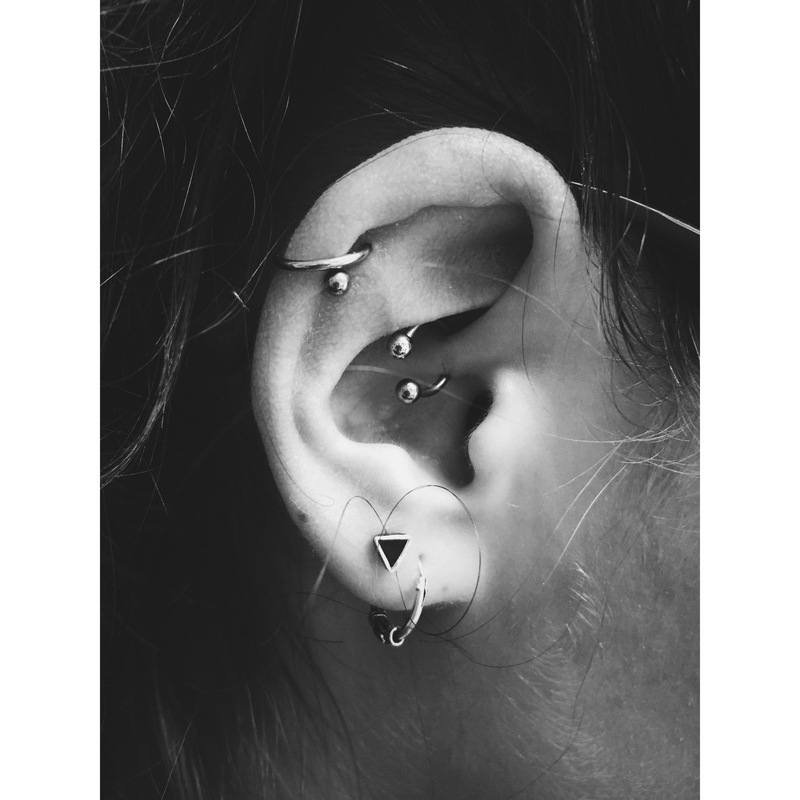 Contrasts and compliments the ear lobe trio perfectly and was a total blast to do. This entry was posted in Custom Work, Piercing Portfolio, Top Ear / Rim Cartilage Piercings and tagged 1.2mm, Body Jewellery, Body Modification, Body Mods, Body Piercer, Body Piercing, Custom Ear Piercing, Custom Work, Ear Cartilage Piercings, Ear Piercing, Ear Piercings, El Capitan, Flatbed Piercings, Greenwich, Labret Bars, London, London Body Piercing, London Piercer, London Piercing, London Town, Piercing Portfolio, SE10, Shiva Piercings, South East, South East London, South London, South London Piercer, South London Piercing, South London's Finest, Titanium, Titanium Triangle, Titanium Trio, Top Ear / Rim Cartilage Piercings, Top Ear Piercing Triangle, Top Ear Piercings, Top Ear Triangle, Top Ear Triangle Trio, Top Ear Trio, Triangle, Triangle Piercings, Trio, Triple Flatbed Helix Piercings, Triple Flatbed Helix Trio, Triple Flatbed Piercings, Triple Helix Triangle, Triple Helix Triangle Piercings, Triple Top Ear Piercings, UK Body Piercing, UK Piercer, UK Piercing. Bookmark the permalink. 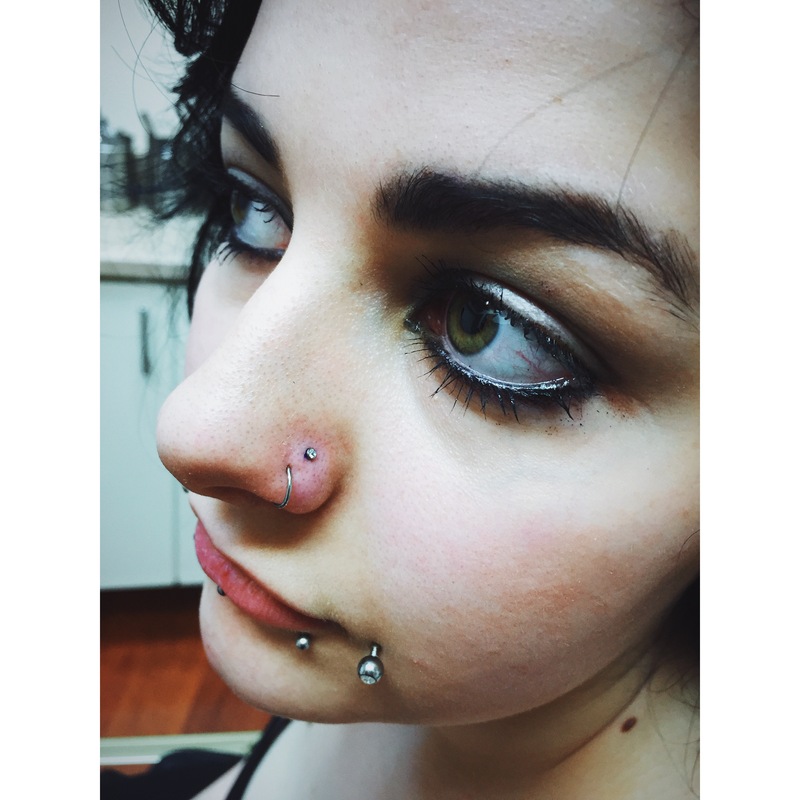 The lovely Atreia’s septum piercing w/1.2mm x 10mm titanium CBB. 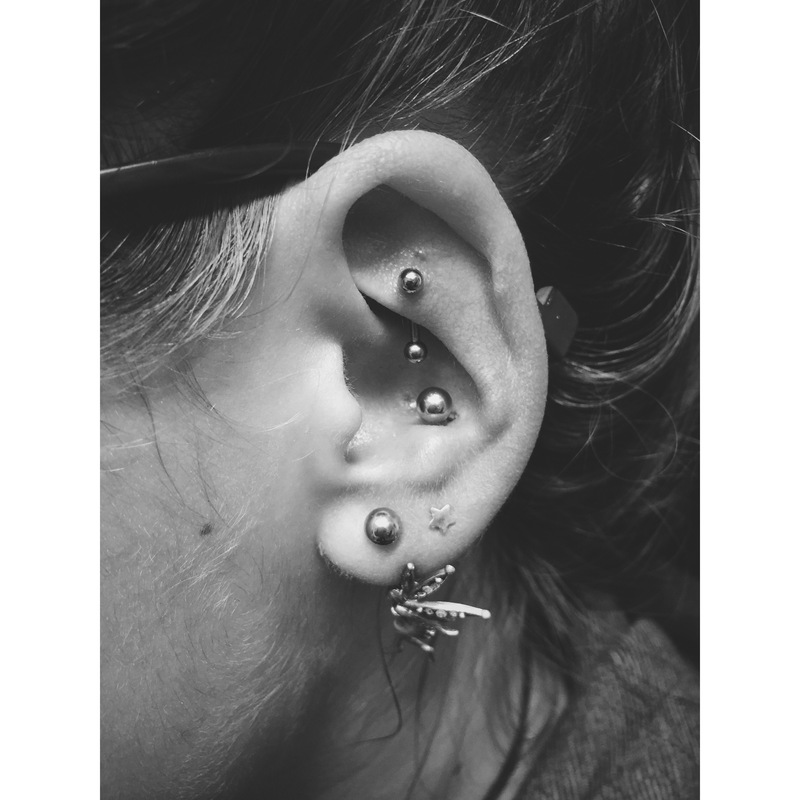 This entry was posted in Customers Photos, Piercing Portfolio, Septum Piercings and tagged 1.2mm, Body Mods, Body Piercer, Body Piercing, CBB, Customers Photos, El Capitan, Greenwich, London, Piercing Portfolio, SE10, Septum Piercings, Shiva Heads, Shiva Piercings, Titanium. Bookmark the permalink. 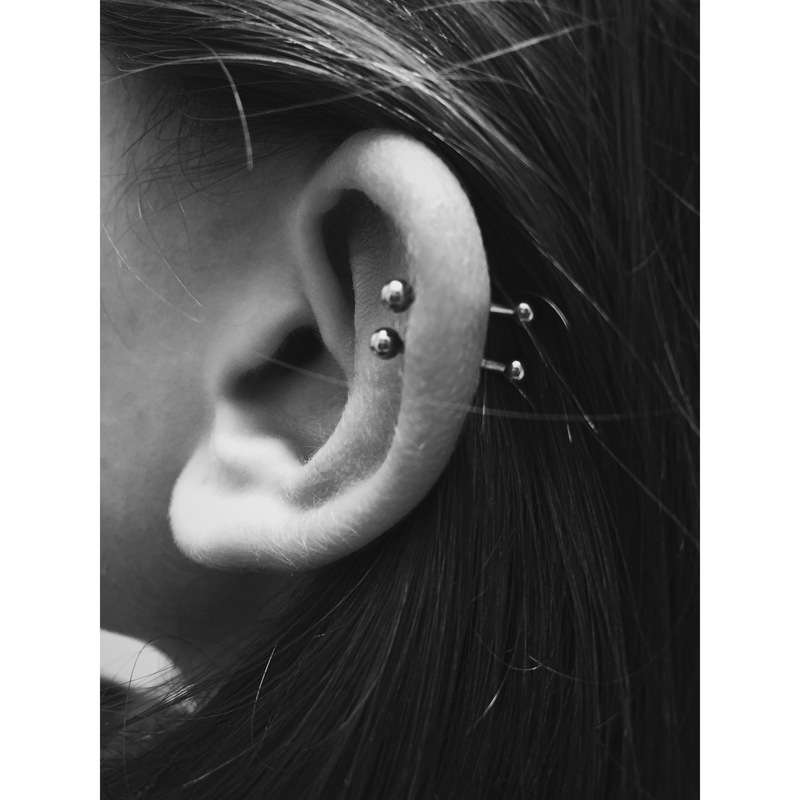 Alisa’s double top-ear/helix piercing w/1.2mm x 10mm titanium bars. 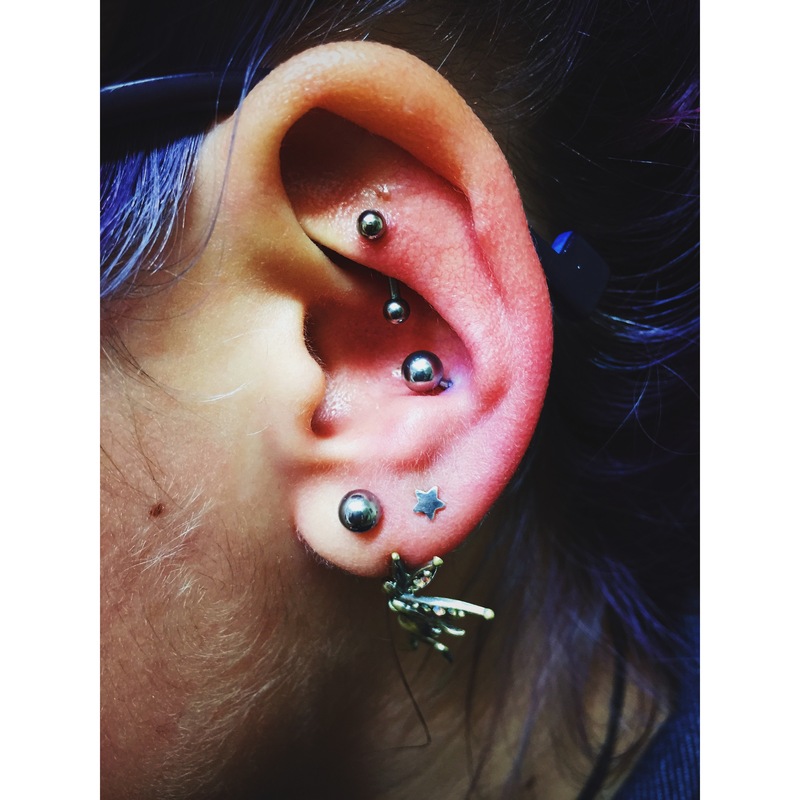 This entry was posted in Piercing Portfolio, Top Ear / Rim Cartilage Piercings and tagged 1.2mm, Body Mods, Body Piercer, Double Helix Piercings, Double Piercings, El Capitan, Greenwich, Helix Piercings, London, Piercing Portfolio, SE10, Shiva Piercings, Titanium, Top Ear / Rim Cartilage Piercings. Bookmark the permalink. I’d pierced Layla’s nose a couple years back and she had since switched to a 10mm ring. Layla wanted a second nose piercing, so we switched the 10mm ring down to a 0.8mm x 6mm seamless ring and pierced behind the initial (healed) piercing w/titanium clear gem stone j-claw stud. This matches the current cheek dimples stone wise, and when the nose has healed; either an 8/10mm ring will look awesome alongside to create a pair. This entry was posted in Nose Piercings, Piercing Portfolio and tagged 1.2mm, Body Mods, Body Piercer, Double Nose Piercings, Double Piercings, El Capitan, Facial Piercings, Fresh Vs Healed, Greenwich, London, Loyal Custom, Nose Piercings, Piercing, Piercing Collection, Piercing Portfolio, Piercings, SE10, Shiva Piercings, Steel Ring, Titanium Stud. Bookmark the permalink. Smile for yo’ Cap’n! 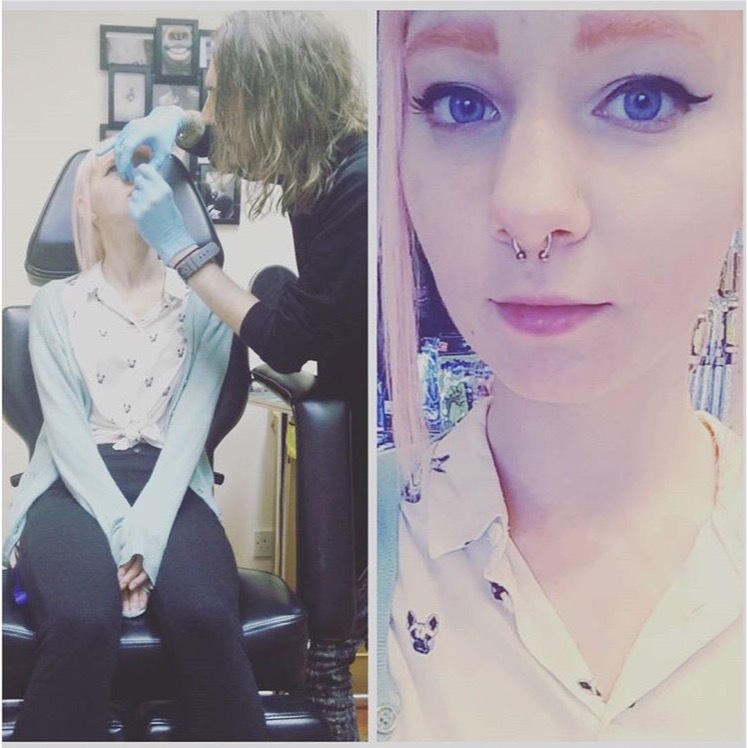 It’s pretty fun being a body piercer… Michelle’s smiley/frenulum piercing w/1.2mm x 10mm CBB by El Capitan @ Shiva Piercings. 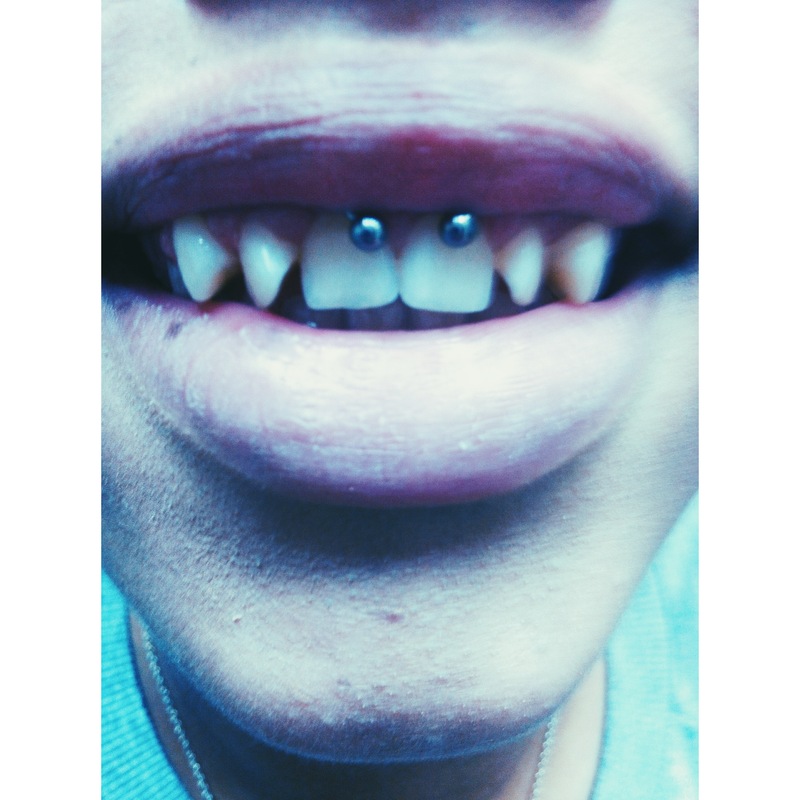 This entry was posted in Piercing Portfolio, Smiley Piercings and tagged 1.2mm, Body Piercer, CBB, El Capitan, Frenulum Piercing, Greenwich, London, Piercing Portfolio, SE10, Shiva, Shiva Piercings, Smile For Yo Captain!, Smiley Piercings, Titanium. Bookmark the permalink. 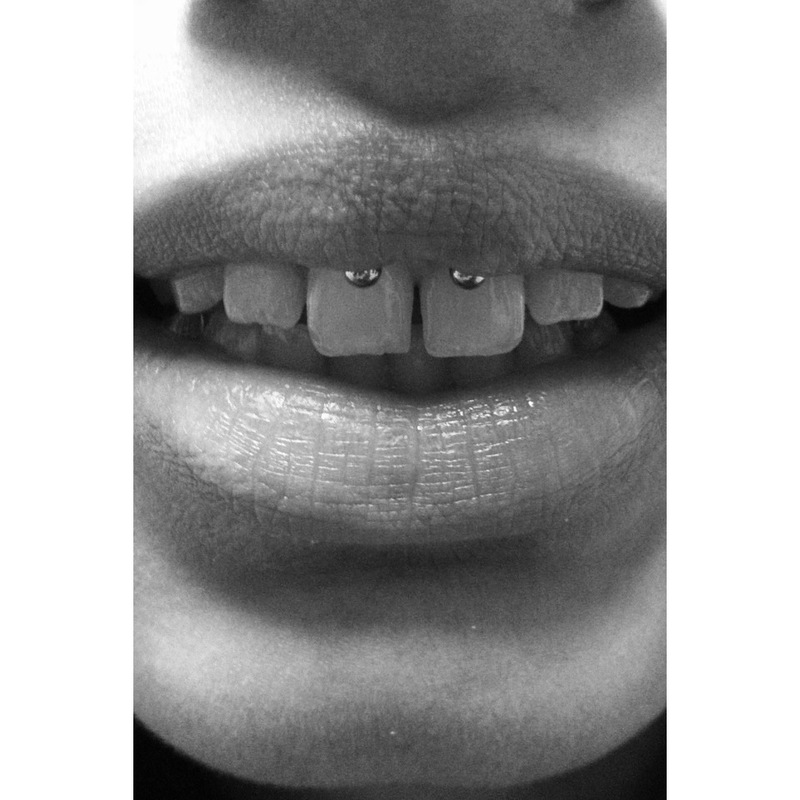 This entry was posted in Piercing Portfolio, Smiley Piercings and tagged 1.2mm, CBB, El Capitan, Greenwich, London, Piercing Portfolio, SE10, Shiva Piercings, Smiley Piercings. Bookmark the permalink. Septum done w/1.2mm x 8mm titanium CBB. 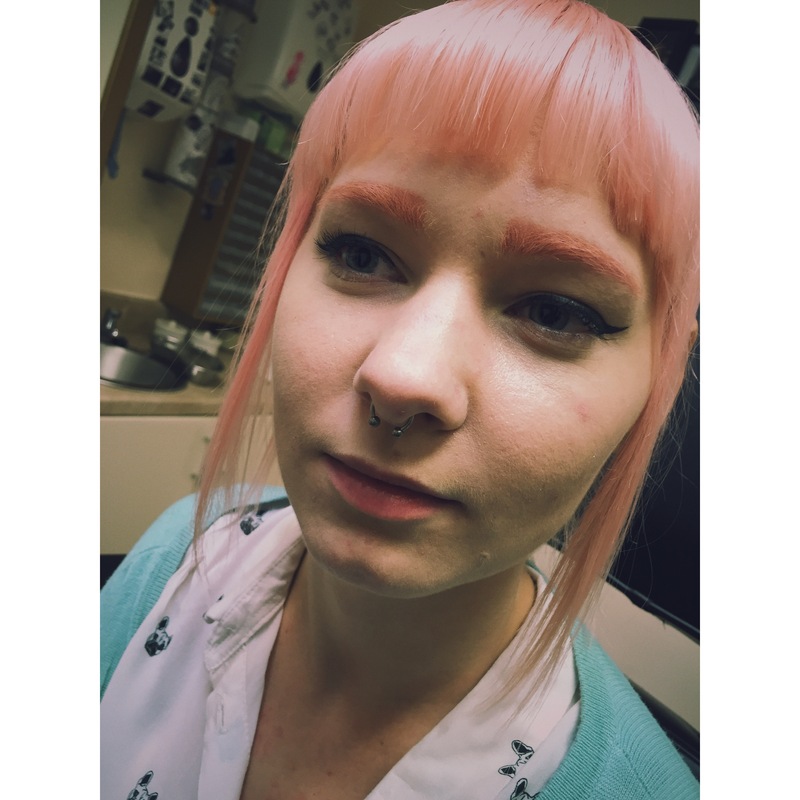 This entry was posted in Piercing Portfolio, Septum Piercings and tagged 1.2mm, El Capitan, Greenwich, London, Piercing Portfolio, SE10, Septum Piercings, Shiva, Shiva Piercings. Bookmark the permalink.